Your blog posts support multiple types of featured image/headers above the written content on the page. One example of a fantastic way to present your content is in the form of an image gallery, which can easily be created in your posts. Scroll further to learn how! Click Add Media from your visual editor, and upload all of the images intended for your gallery. Do NOT click "INSERT INTO POST". The images you upload to this post are automatically tied by ID to this post. They do not need to additionally show up in the body of the blog post. Simply close the window after you are finished uploading. 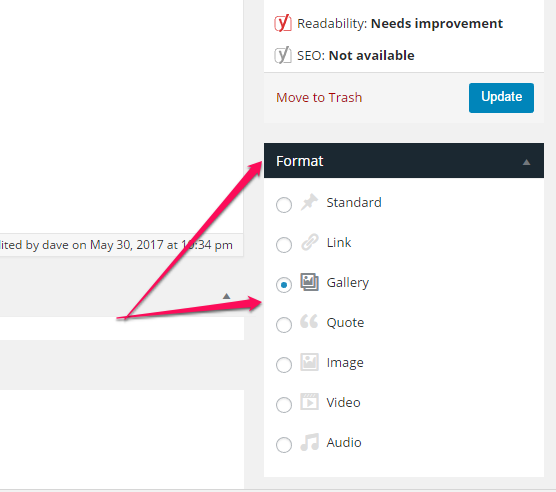 Look for the Format module on the right hand side below your publish module. Select Gallery from the post format options. Add your post content, set your SEO focus keywords, ensure the images you uploaded have alt descriptions containing the focus keyword, and publish your content. 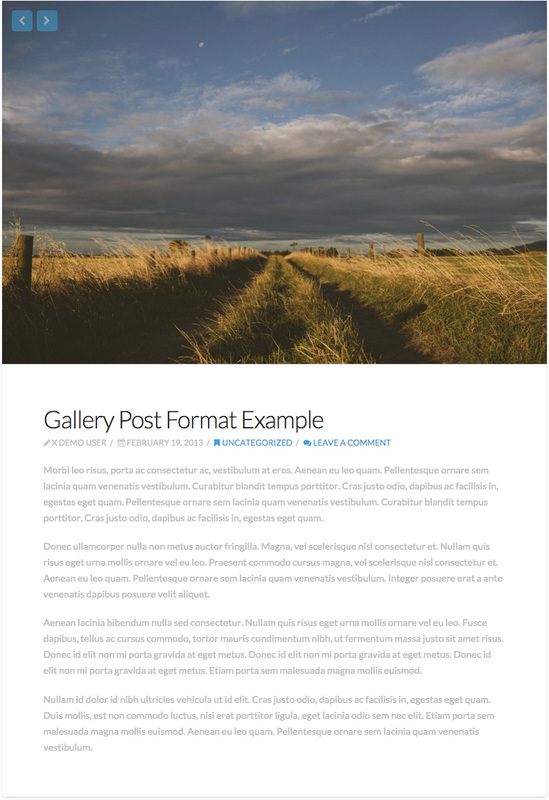 Your blog post will display with a responsive gallery in placee of the static featured image.